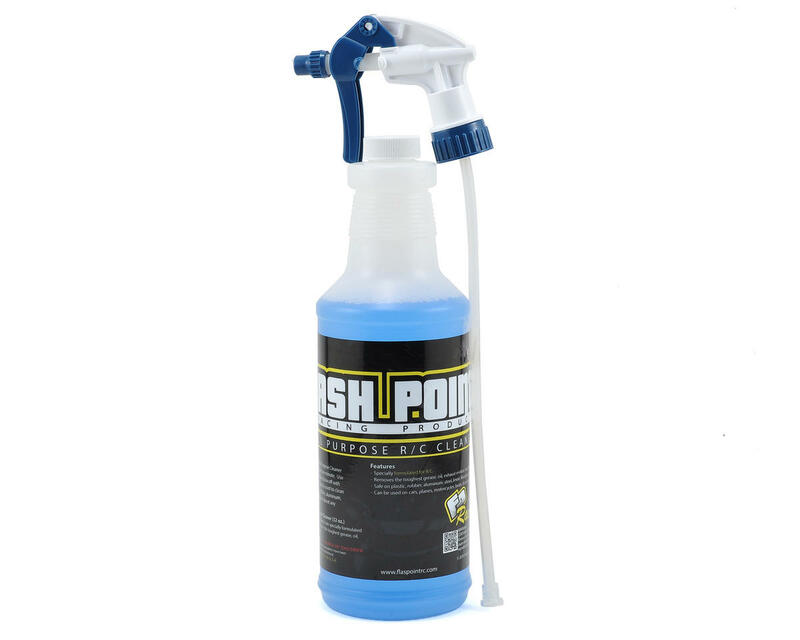 Flash Point RC All Purpose Cleaner was specially formulated for all R/C vehicles, and their cleaning needs. It removes the toughest grease, oil, exhaust residue, dirt, and mud. Safe on plastic, rubber, aluminum, steel, lexan, fiberglass, and vinyl stickers. Additionally while being formulated for R/C vehicles, this can be used for cleaning on airplanes, motorcycles, boats, bicycles, and much more. It really is an all purpose cleaner.